I loved my wedding dress; it was the marriage that was the problem. 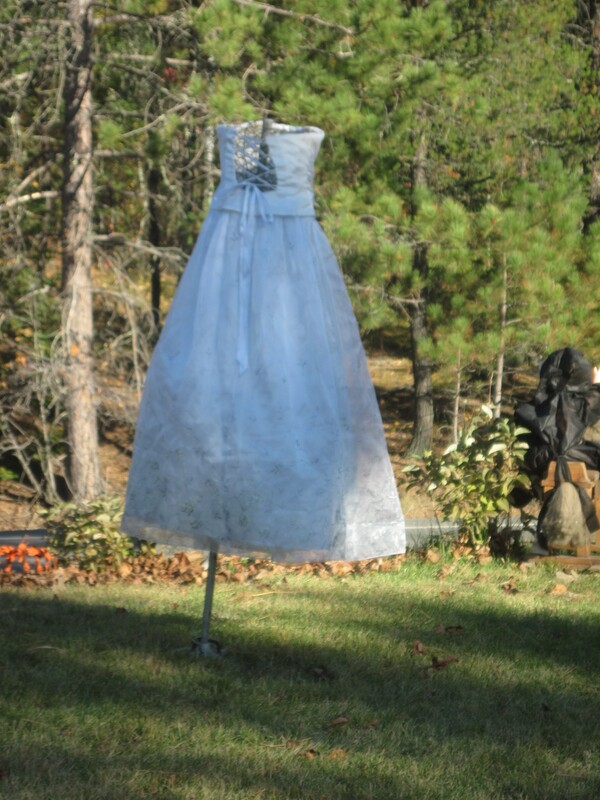 So, after one of my daughters wore it to a formal, we decided it would make a great Halloween decoration. 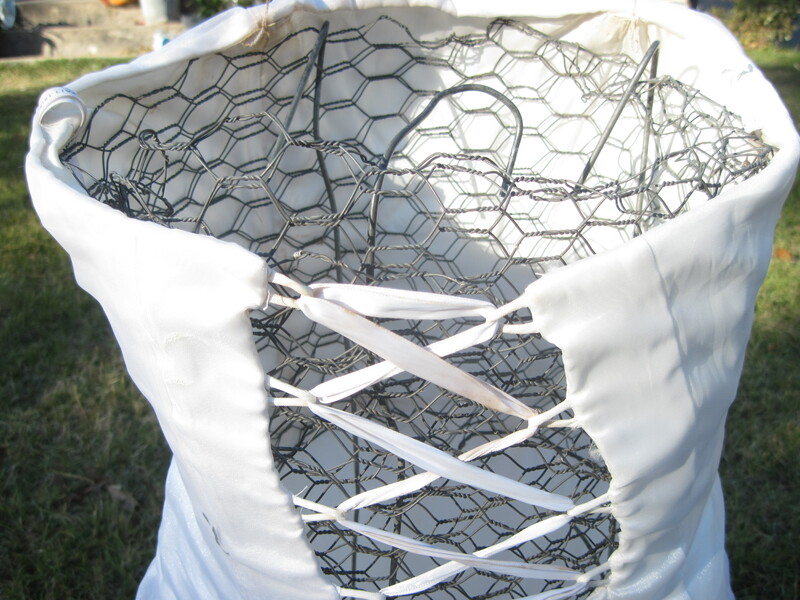 Last year I used an upside-down tomato cage, this year I added a chicken wire bodice. 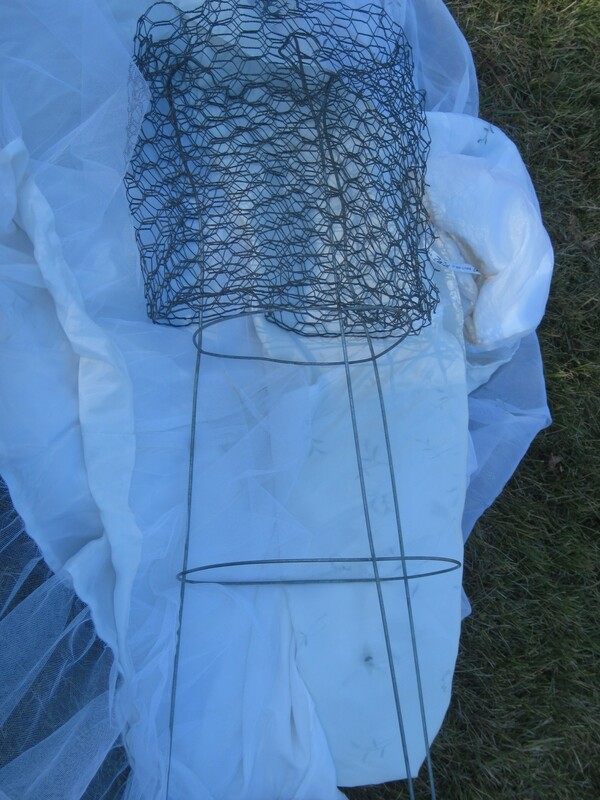 Tomato cages are the best option I’ve found for making ghosts; this time of year I am taking them off all the plants, anyway. An old store fixture and a broken snow rake handle are the frame. Because I didn’t want her to blow over or away while dancing in the wind, we pounded a few large stakes to hold down the fixture. 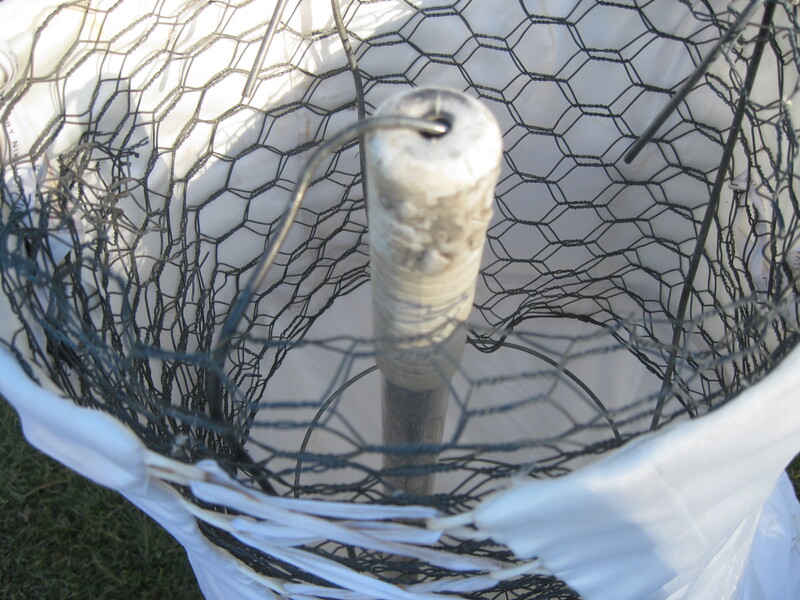 It was easier to put the dress on the form and THEN squish the wire as needed. 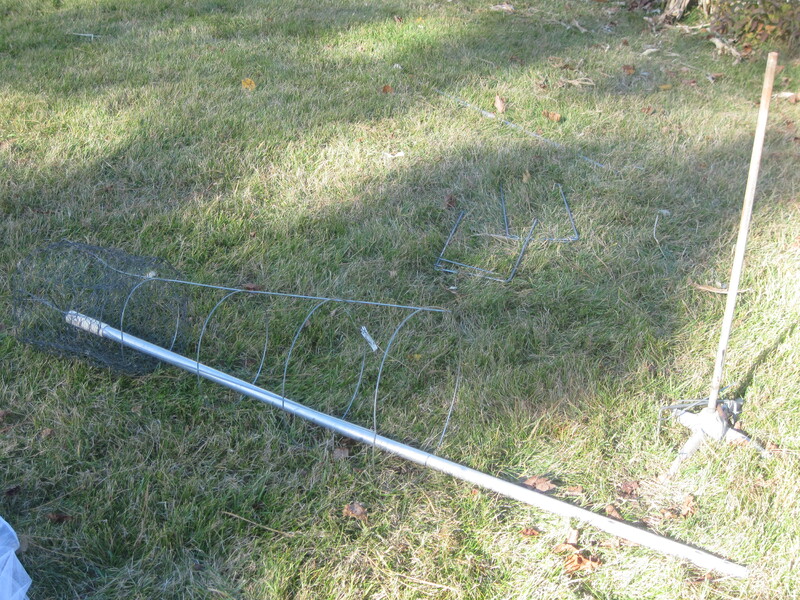 Tomato cages have three legs; I used two for her chest and one to hang off the frame. Another GREAT, fast, cheap and easy idea brought to you by the Pajari Girls 🙂 (pronounced, PIE-ree)! I always look forward to seeing your decorations every fall! Very cute!